Thai-Dk Din debat side - Debatforum: Farang pays 10 million baht to marry Thai boyfriend! But it's all about love! Farang pays 10 million baht to marry Thai boyfriend! But it's all about love! 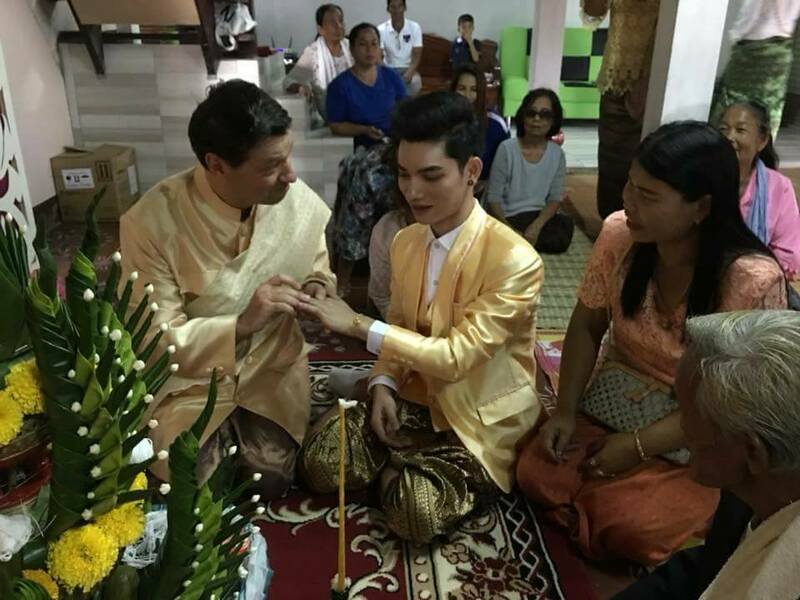 Tnews reported that a gay marriage took place Friday between a foreign man and his Thai boyfriend. A video of the happy occasion was posted on the "S Sanit" page on facebook. Tnews said that a total of 10 million baht made up the dowry - this was in cash, land, a condo and a diamond ring. No details of the names of the happy couple or the location of the wedding were given. Ten million baht is close to a third of a million US dollars so this was a big payday for the Thai. Tnews said that marriage is all about love. Hold da kæft, perverseren skulle have 20 år i spjældet for sodomi. Alister Bredee, 61, and Pummaret Sangtong, 31, celebrate their marriage at the latter's home in Nakhon Sawan on Saturday. 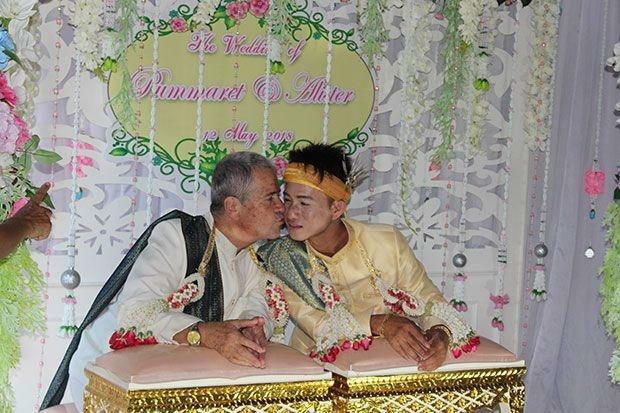 NAKHON SAWAN: A 66-year-old Irish businessman who runs a fitness club on Koh Samui married his 31-year-old Thai male partner on Saturday after they had been living together for many years. Men ærlig talt, er det ikke voldsomme overpriser for en endetarm.